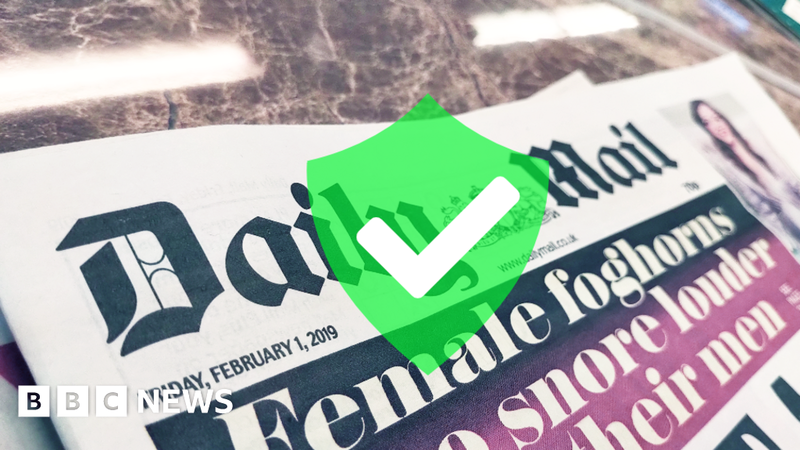 A web browser warning that said the Daily Mail’s website failed to maintain “basic standards of accuracy or accountability” has been changed. A spokesman for Mail Online said it was an “egregiously erroneous classification”. NewsGuard has now changed its review and says Mail Online “generally maintains basic standards of accuracy and accountability”. NewsGuard refused to change one of the ratings because Mail Online did not disclose “its conservative orientation”. The NewsGuard plug-in must be switched on by users of Microsoft’s Edge app, but the BBC understands there are plans for it to become the default option in the future. It can also be used as an add-on extension in the desktop version of web browsers including Edge, Google’s Chrome, Mozilla’s Firefox and Apple’s Safari.